Designation: Senior Consultant - Gynaecology & Obstetrics Surgeon | Phoenix Hospital, Allahabad. 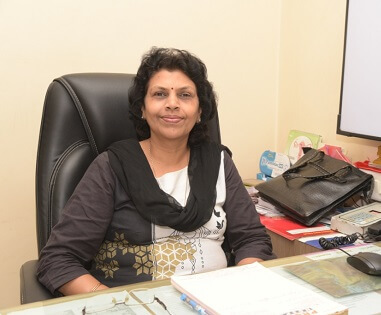 Dr. Smita Srivastava is a Senior Consultant who deals with the Functions and Diseases specific to women and girls, especially those affecting the reproductive system. She specialises in all types of minor and major surgeries including Caesarian Section, Hysterectomy (Removal of Uterus), Myomectomy, Ovarian Tumours and Perineal Repair. She has more than 15 years of experience in the field of Painless Normal Deliveries, Infertility and All types of Family Planning Services. She had worked with Al Shifa Hospital, Saudi Arabia as Consultant Gynecoligist and as a Obs. & Gynae Specialist with Bokaro General Hospital (A Unit of Steel Authority of India Ltd.) which is a 1000 Bedded Hospital in that area. Presently, she is working with Phoenix Hospital as a Consultant - Gynecologist and an Associate Director. All types of Minor and Major Surgeries including ! - Hysterectomy (Removal of Uterus). - All type of Family Planning Services.